Obituary – Bair, Charles Raymond « Perry High School Alumni Association, Inc.
﻿- 18-year-old son of Mrs. Corrine Bair. He was born in Newton, Kan., October 15, 1922. He attended schools in Pawhuska, Stillwater and attended the Perry schools for seven years. He served as vice-president of the freshman class and vice-president of the Hi-Y organization. He also was a member of the band for five years. Boxing and basketball were the sports, he is interested in. Hobbies are hunting and golfing. Charles plans to become an army flier after his graduation from high school. 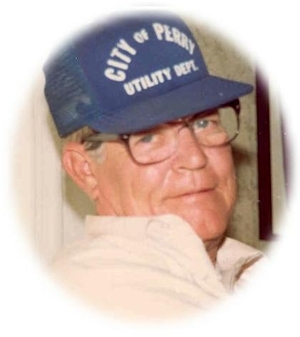 Charles “Charlie” Bair, 81, of Perry, died Wednesday, March 17, 2004 at Green Valley Nursing Home. Graveside services will be 10 a.m. Saturday at Grace Hill Cemetery. Gene Owen will officiate. Services are under the direction of Brown-Dugger Funeral Home. He was the son of Marion Franklin and Corrine (Hotz) Bair. He was born on October 15, 1922 in Newton, Kan. He served in the United States Marine Corps from March 2, 1942 to December 25, 1945. He was a member of VFW and the American Legion. 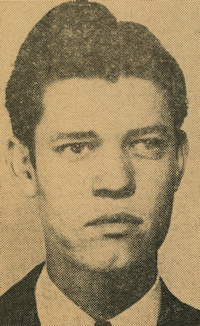 He was preceded in death by his parents; one sister, Frances June Matthews; and one nephew, David Crockett Matthews, Jr. He is survived by two nieces, Jean Vance and her husband, Allen, of Yukon and Fran Little and her husband, Richard, of Norman; three great nieces, Sara Vance and Joell Slavin, both of Yukon and Tara Little of Norman; one great-nephew, Richard T. Little of Tulsa and one special friend, Lillie Stevens and her son, Bill Stevens and his wife, Linda, all of Perry.